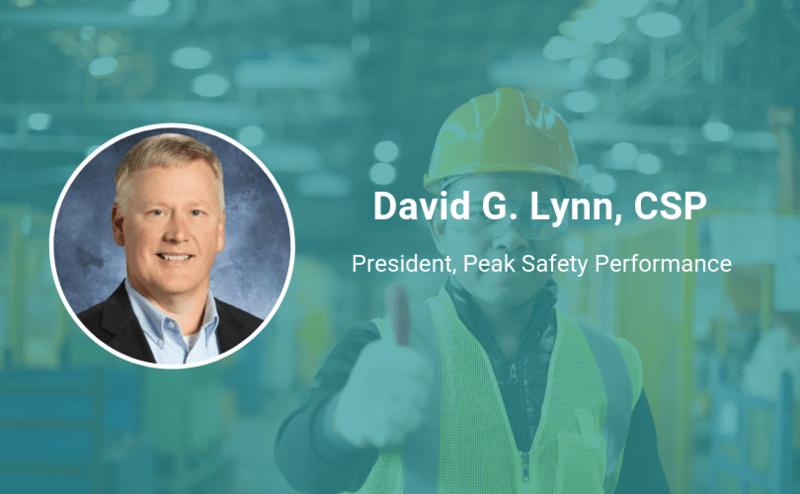 David Lynn, CSP, began his safety career in 1992 working for OSHA as a Compliance Officer. He witnessed the good and the bad of health and safety management across a variety of industries. The regulatory perspective helped David see his job with a well-rounded point of view and enabled him to transition into an EHS Engineer’s role at a Duracell battery plant in South Carolina. Fast forward to 2004—through other experiences and work with other companies—and David started work with Fluor as a US Regional HSE Manager. Today, David is using that rich and diverse background in safety as a High Performance Safety Leadership consultant. His company, Peak Safety Performance, LLC is a safety consulting firm that helps clients develop strategic safety plans that address everyday challenges. Keep reading to see why he’s such a values-driven, inspirational Safety Hero. What’s one of the best pieces of advice you’ve heard, and who gave it to you? I read a book about speaking, and in and it said whenever you deliver a topic, it’s better just to know your material, and to speak with your own voice. Do you have any motto or mantra you live and work by? Faith influences our decisions both at home and at work. We strive to stay grounded in our Christian foundation, which ultimately governs the way we do business. There is no success in business worth failure at home. We work hard to balance both work and family expectations. People remember who finishes first. We strive to be the first to learn, first to achieve, first to respond, first to act, and first to remain humble in the process. We want to meet and exceed client expectations through every service we provide. We want to be great at a few things rather than average in many things. We want to check it off the list as soon as possible and gain momentum with progress. We love the work involved with achievement just as much as the reward itself. What organization or company do you really admire in terms of safety and health? The company that I learned the most from—and I also appreciate their culture the most—is Fluor. I worked for Fluor for 8 years and they had to work in many different places, even remote places, with very demanding clients. Their ability to execute a safety culture and implement that in various environments was probably one of the most influential things that I learned and that I admire. What do you wish people knew about supporting safety? That they realized that commitment to safety without visibility and consistency really doesn’t exist. What I mean by that is that nobody wants anybody to get hurt, but typically managers don’t understand their role in the process. And to me, it’s about the commitment which has to be visible and it has to be consistent—or otherwise people just don’t see it. I think if I was going to take one thing out of many, many things that would be important for people to know, that would be number one.